NEW!! 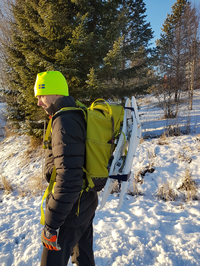 In cooperation with Klättermusen we fitted a soundless shaft retaining ring on their backpack FLINTA. Dan has tested this wonderful backback for more than 3 years. Fits for pulling a pulka as well as being pulled by a dog or for daily use. Smart adjustable solutions widens the user group from 8 year old to adult size. Better to buy a quality backpack for your child now, better för the environment and your economy. 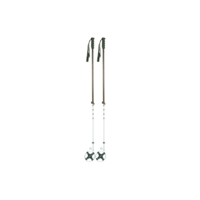 Equiped with refinements like for example a quick release buckle to quickly free yourself from the backpack in difficult situations. 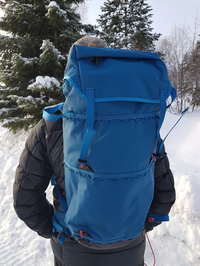 Klättermusen Flinta Classic 35 is a smalle bag for daytrips or can be adjusted the climbing trips, skiing or walking. 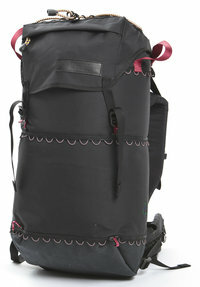 Flinta contains 35 litre and has a top lock and an adjustable waist belt. 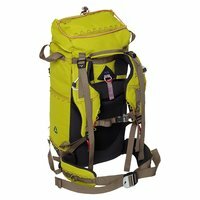 Weight located close to the back and Flinta has a sturdy fit and both waist belt and shoulder straps can be retracted for flights. Hole straps give you a lot of options for fastening accessories for Klättermusen backpacks. 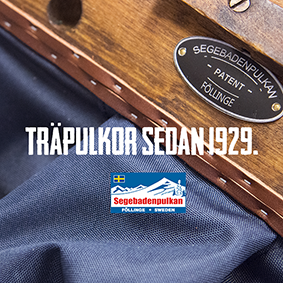 Shoulder straps have a unique construction to minimize the strain on your neck and maximize blood supply. Butterfly Bridge, an angled aluminium pipe releases pressure from the neck muscles to more insensitive areas. The shoulder strap is made of three different layers so that surface irregularities do not influence the wearing comfort. The bag is made of 100% recycled polyamide, polyurethan coated. Raw materials are old fishing nets and carpets, no new oils used in production and the threads are certified of recycled material.